Military court in Gaza sentences three men to prison after they were convicted of collaborating with Israeli intelligence. A military court in Gaza on Sunday sentenced three men from Gaza City's Zaytoun neighborhood to prison, in addition to penal labor, after they were convicted of collaborating with Israeli intelligence, the Ma’an news agency reported. One of the men, 30, was sentenced to 15 years in prison, while another 30-year-old suspect was sentence with nine years. The third man, 25, was given a seven-year sentence, according to Ma’an. Hamas regularly places citizens on trial on charges of spying for Israel, and sometimes sentences them to death. 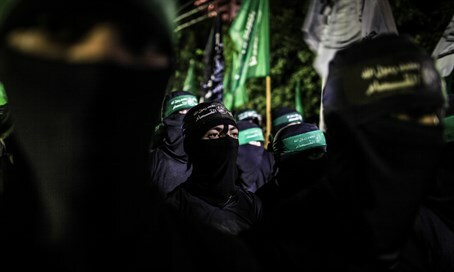 Hamas ignores the moratorium and carries out the executions anyway, as it no longer recognizes the legitimacy of Abbas, whose four-year term ended in 2009.